Entangled in Love - A Valentine for my readers: NOOK giveaway! I love my readers and I love my NOOK. What better way to say Happy Valentine's Day than to bring them together? Welcome to my giveaway for the Mistletoe Madness Blog Hop! In addition to chances to win at over 50 blogs in the hop, the Grand Prize from the core author sponsors is a brand new Kindle Fire along with ebooks from 14 authors! Enter my giveaway at the end of the post and then be sure to enter for the Grand Prize on the main hop page. And don't forget to visit the rest of the blogs in the hop! If you're familiar with my House of Arkhangel'sk series, you know that it's set in modern-day St. Petersburg, Russia, as well as in a celestial city called Elysium patterned after Imperial St. Petersburg. And if you're a Twitter follower or Facebook fan, you also know that I'm totally obsessed with all things Russian. You can skip to the bottom now to enter via the Rafflecopter, or read on to learn a little about holiday traditions in Russia. While Orthodox Christians in Russia celebrate Christmas, it isn't the big to-do it's become in the US and Western Europe. Instead, Russians have a large celebration on the New Year—Novy God—with a decorated yolka (fir tree), and instead of Santa, a similar figure named Ded Moroz (Grandfather Frost) delivers presents with his assistant Snegurochka, the Snow Maiden. This secular holiday became more popular during the Soviet era, but has been a Russian tradition since the time of Peter the Great. And if you haven't entered the other hops yet, hop to it! 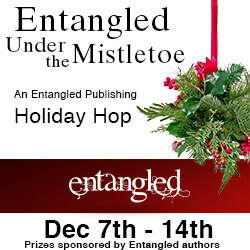 Welcome to my giveaway for the Entangled Under the Mistletoe Blog Hop! The pagan origins of many of the rituals around this time of year have always been my favorite: kisses under the mistletoe, decorated trees, and pretty lights at the darkest time of the year. (At least for us Northern Hemisphere folks!) The season, to me, is about ancient magic and the wheel of the year, no matter what religion—or none—one happens to follow. That same magic is encapsulated in the tarot, and the Russian Tarot of St. Petersburg, in particular, adds to that magic with beautiful paintings depicting the Fool's Journey, which echoes the wheel of the year itself: beginnings and endings all wrapped up in an ever-returning cycle. To kick off the season, I'm giving away signed copies of Books One and Two of The House of Arkhangel'sk: The Fallen Queen and The Midnight Court, along with a gorgeous Russian Tarot of St. Petersburg deck and an accompanying book that discusses the Russian-specific meanings of the cards. Arkhangel'sk Trivia Note: Several scenes in Book Three, The Armies of Heaven, due out in May 2013, were actually written with the help of the Russian Tarot of St. Petersburg. Enter via the Rafflecopter below. And don't forget to check out the rest of the blogs on the hop! Well, it's my blog, so demons it is! LOL. No, truly, I like angels, fallen or otherwise, I just have a rather soft spot for two demons in particular. ;) But since my demons and angels are actually just the peasants and nobility of a single race, it's all one and the same. As for the blog hop, the Grand Prize winners are Stephanie Huff (#1291 from I Smell Sheep), winner of the Kindle Touch, and Drake (#4695 from Dani Harper’s Blog), winner of the Amazon $60 Gift Card! 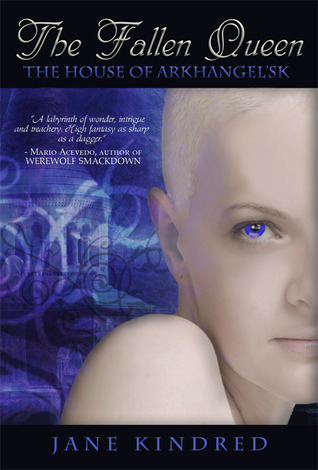 And the winner of my giveaway of a signed copy of The Fallen Queen and cover flat is Kassandra! Kassandra, you should be getting an email shortly to request your mailing address for your prize. Email me at jane at janekindred dot com if you don’t receive it. Congrats to the winners and thanks to everyone who participated in the hop, and for all of the great comments! Yet another fabulous giveaway is under way, this time over at the Here Be Magic blog. Head over to HBM for a chance to win three separate prizes: a Kindle Fire, a book basket of 26 ebooks from Carina fantasy and paranormal authors (including The Devil's Garden), and a $25 gift certificate to Amazon or Barnes and Noble. The giveaway is open until December 24, and with the exception of the Kindle Fire, is open to international entries.